What is Freethinking in Reasoning? Freethinking is defined as the process of applying reason, science, skepticism, and empiricism to questions of belief and eschewing reliance on dogma, tradition, and authority. It's important to note that this definition is about the methodology and tools one uses to arrive at beliefs, not the actual beliefs a person ends up with. This means freethinking is at least theoretically compatible with a wide range of actual beliefs. In practice, though, freethinking is most closely associated with secularism, atheism (particularly critical atheism), agnosticism, anti-clericalism, and religious critique. This is partially due to historical circumstances like the involvement of freethinking movements in the growth of political secularism and partially due to practical reasons because it's difficult to conclude that religious dogmas are "true" based on entirely independent reasoning. The free exercise of reason in matters of religious belief, unrestrained by deference to authority; the adoption of the principles of a free-thinker. 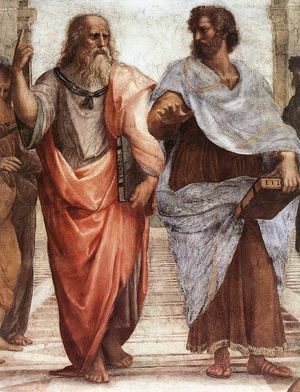 "a conscious reaction against some phase or phases of conventional or traditional doctrine in religion--on the one hand, a claim to think freely, in the sense not of disregard for logic but of special loyalty to it, on problems to which the past course of things has given a great intellectual and practical importance; on the other hand, the actual practise of such thinking." "a skeptical religious posture that saw Scripture and the truths of Christian teaching as idle tales and fables"
We can see that while freethinking doesn't absolutely require any particular political or religious conclusions, it does tend to lead a person to secular, irreligious atheism in the end.